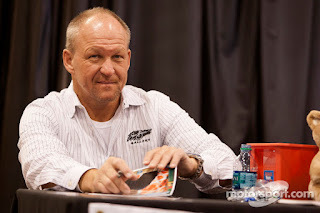 Sam Bass passed away early Saturday morning, succumbing to the effects of a lifelong battle with diabetes. 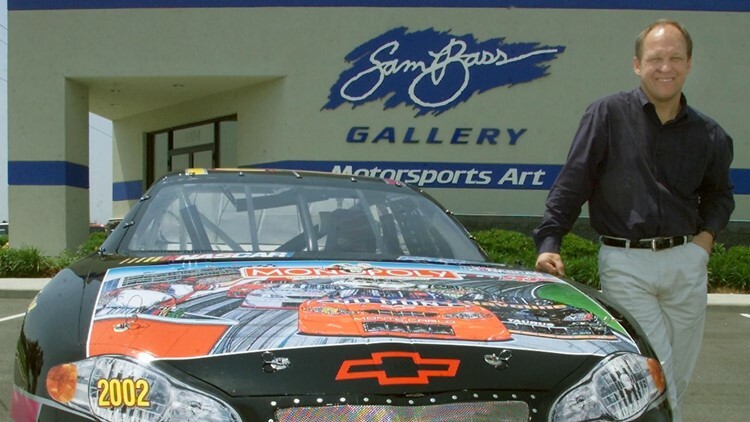 Sam’s work was as much a part of NASCAR as the Daytona 500. He was NASCAR’s first Officially Licensed Artist, and from his talented hands sprung many of the most recognizable paint schemes in the history of the sport. From Bobby Allison’s Miller American Buick to Dale Earnhardt’s Goodwrench Chevrolet and Jeff Gordon’s Dupont “Rainbow Warrior” Chevrolet, Sam’s fingerprints have been all over this sport for decades. He first got hooked on auto racing at Southside Speedway in Richmond, Virginia. After a childhood spent painting his Matchbox cars to mirror those driven by his NASCAR heroes, Sam presented his idol, Bobby Allison, with a one-of-a-kind painting of his car. That humble gift gave rise to an unprecedented career and a love affair with this sport that carried him to his final days. 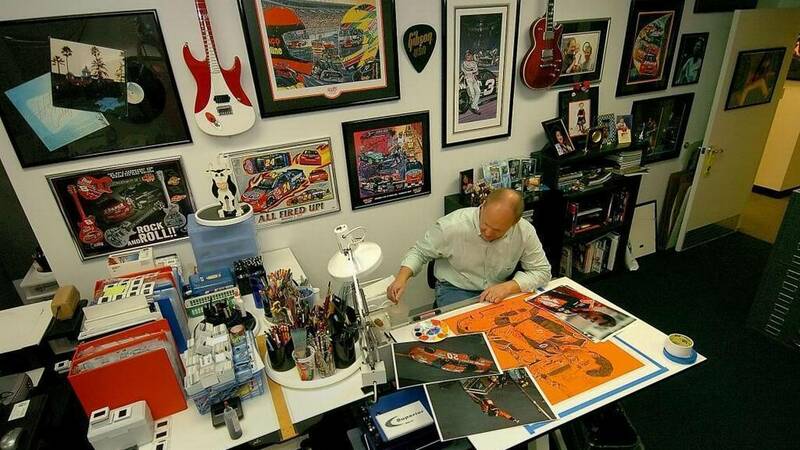 He produced literally thousands of paint schemes, portraits, commemorative guitars, fine art pieces and magazine covers over the years, including every Charlotte Motor Speedway program cover since 1984. Equally important, he became a valued and beloved member of the NASCAR community. It hasn’t been easy, these last few years. Diabetes requires a regimented diet and close attention to one’s health and well-being, something Sam struggled to integrate into his 1000-mile per hour lifestyle. In 2005, Sam developed a blister on his foot during a 12-hour day of Speedweeks appearances at Daytona International Speedway. Sam was a pack animal. He enjoyed being with people, talking, signing autographs and sharing stories. Admittedly “hard-headed,” he ignored the situation and pressed on, worrying more about honoring his commitment to fans and the speedway than about himself. “If I had been smart, I would have cancelled the rest of my appearances, gone to bed for a couple of weeks and let that thing heal,” he said later, “But I had work to do, and I didn’t want to disappoint anyone. So I kept going and that blister eventually become an infection that ended up costing me four bones in my foot and eventually -- three years later -- my lower left leg. Unfortunately, Sam’s health struggles were far from over. In recent years, he battled sepsis, a life-threatening illness where a person’s immune system goes into overdrive in response to an infection. Seventy percent of people diagnosed with sepsis die. Sam fought it on three different occasions and lived, displaying a level of toughness that inspired his wife, Denise, to begin calling him “Superman.” Even after the sepsis was cast aside, however, Sam’s kidneys and pancreas continued to fail. As medical bills mounted, a new financial crisis ensued. “I got hit by the perfect storm,” he said. “When I got sick, the medical bills floored me. Then the economy tanked. Jack Roush used to have five teams and now he has two. Dale Earnhardt, Inc. was a great client, but now they’re gone. Richard Petty had more cars than he has now. Sam’s struggle caused some longtime clients to look elsewhere for their graphic design needs; not knowing if he would be well enough to complete projects in time to meet required deadlines. Almost immediately, an army of Bass’ NASCAR friends – led by Kelley Earnhardt Miller and Motor Racing Outreach President/CEO Billy Mauldin – began organizing a relief effort. In a matter of days, thousands of dollars were raised to pay Sam’s outstanding medical bills and reinstate his lapsed health insurance, enabling him to resume the dialysis treatments that extended his life. “When I found out what all those people were doing for me – people I admire like Dale Earnhardt Jr., Jimmie Johnson, Jeff Gordon and Brad Keselowski -- I cried like a baby,” he said. “I designed cars and fire suits for them… worked with them for years and years. I respect them all so much. The effort did not some soon enough to ward off bankruptcy, however, and in May of 2017, a court-ordered auction liquidated his vast collection of artwork, souvenirs and memorabilia. “That was the absolute worst day of my life,” he recalled. “It was heartbreaking to watch 36 years of my life go on the auction block. It felt like my heart was being torn out of my chest, but it had to be done in order to take care of everything that needed to be taken care of. There have been more “down days” since then, as Sam struggled to right his economic ship, while simultaneously battling the crippling effects of kidney failure. “My health has prevented me from traveling and doing all things I need to do,” he admitted recently. “A year or so ago, I was at 40% kidney function. Then it was 30 percent and 20 percent, until now, I’m at two percent. “I wake up every morning sick to my stomach, but I cannot afford to lay in bed and feel sorry for myself. I’ve got deadlines to meet. I have bills to pay. I have a family to provide for, so I’m in the office every single day. “I get fatigued very easily, but I have never stopped working. I have never stopped trying to do my best to offset all the things that have happened in the last few years. 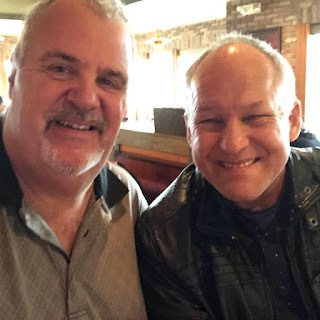 “To be honest with you, the past eight months have been something I would rather forget,” said Bass on Sirius XM NASCAR Radio less than a month ago. “I got a serious blood infection in my leg, and they ended up having to take about an additional inch and a half of bone out of the leg that I previously had amputated. It was totally unexpected, very much unneeded and it put me down for about eight months. When you’re going through operations – and I had three of them – the doctors take you off the (transplant) list until you get healed up and regain some strength. Sam remained optimistic and upbeat to the end, saying that he hoped to attend last week’s Daytona 500; though at a reduced pace than in years past. “I love what I do,” he said. ”I am so blessed to have this job and be able to work with all the folks I have worked with over the years. I don’t have the strength and durability (to spend a month on the road), but I’m probably going to go down to Daytona for the Qualifying Races on Thursday, through the Daytona 500 on Sunday. Sadly, Sam never made it back to Daytona. Another infection – this time sudden and unexpected -- brought about yet another bout of sepsis. It was a setback that not even Superman would conquer. Now, we are left to mourn his passing and celebrate the life of a man that was truly exceptional in every way. No matter how bad things got – physically or financially – Sam always found a way to put a positive spin on things. He insisted on accentuating the positive, always finding a reason to hope that tomorrow would be a brighter day. And by understating the gravity of his condition, I fear that many of his friends never got an opportunity to tell him how much he meant to them. They never knew how sick he really was, because he didn’t want anyone to worry. He and I were frequent lunch companions, with our final time together coming just a couple of weeks ago. Many times, I would listen as Sam painted an unfailingly rosy picture of how well his treatments were going, how happy his doctors were with his progress, and how he knew – just knew -- that a lifesaving donor was right around the corner. When he was finished, I put down my fork and looked him straight in the eye. I fear that he did that with a lot of his friends; whitewashing reality to avoid worrying anyone. Maybe that’s why I truly believed – right up until the day he died – that my friend Sam would find the donor he needed, regain his lost health and get back to being the vibrant, energetic, high-speed Sam we all knew and loved. I’m sorry that he never got that opportunity. I’m sorry that he wasn’t able to come home from the hospital – once and for all – to his High School sweetheart and his wonderful children, of whom he was so justifiably proud. I’m sorry that he will never return to what I jokingly called his “biggest box of crayons in the world” to create more masterpieces to Illustrate our sport. I’m sorry that we won’t get to sit and converse over fried chicken salads at Jim n’ Nicks anymore; talking about race cars and family and his beloved KISS concerts. I’m sorry that I’ll never again see that million-megawatt smile; the kind of smile that only comes from a man who truly and completely lives his dream every single day, and knows it. In the day’s leading up to the sale of his gallery, Sam asked if I could come to see him. Later that day, he pulled me into his office and handed me a limited-edition print of the late Dale Earnhardt Sr.’s Goodwrench Chevrolet, signed by the Intimidator himself. I absolutely refused to take it, knowing that it would bring hundreds – if not thousands – of dollars in the upcoming auction; dollars that he and Denise could surely use. After a lengthy debate (where he did most of the talking), he grudgingly agreed to keep the Earnhardt print, if I would accept what he called a “grab bag” of other, less valuable items in return. He was not to be argued with any further that day, so I agreed. A few minutes later, he handed me a cardboard tube filled with prints, hugged me and thanked me for being his friend. 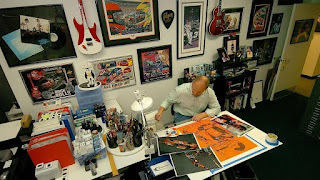 When I got home, I unwrapped my “grab bag” to find more than a dozen beautiful Sam Bass originals…. and the signed Earnhardt print. That’s the kind of man Sam Bass was. Sam was a one-of-a-kind talent who translated the color, drama and emotion of NASCAR to pen and paper, paint and pastel. He told our story with masterful eloquence, all without the benefit of a single word. He blessed us all with his vision, his talent and his friendship, and we will never forget him. 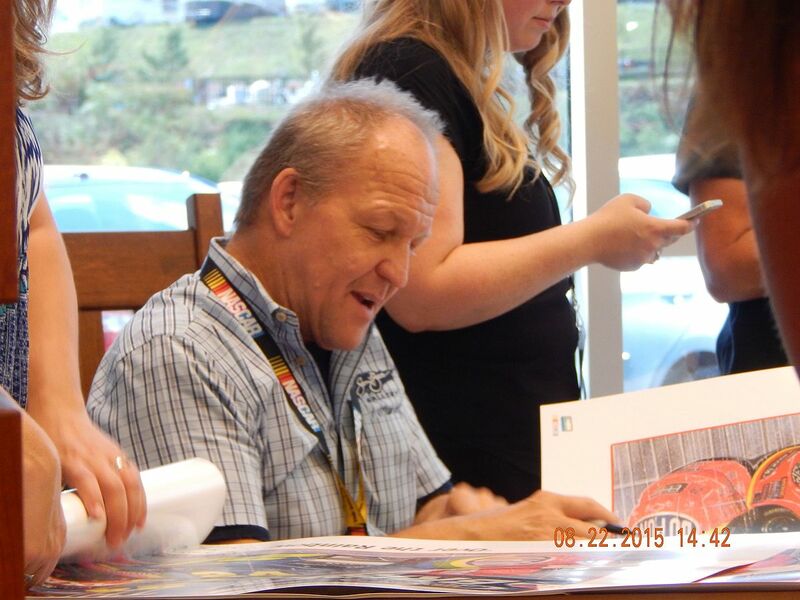 There will never be anyone like Sam Bass, ever again. For the first time in decades of NASCAR racing, crime no longer pays. NASCAR announced last Monday that effective immediately, winning cars that fail post-race inspection with a Level 1 or 2 infraction will be stripped of their victory and placed last in the finishing order. The offending team will forfeit all points, prize money, stage points, playoff qualification and other benefits of the win, with the second-place finisher inheriting the victory. The announcement ended a baffling era in the sport’s history where drivers could win with illegal race cars, but forfeit only a portion of their ill-gotten gains. O’Donnell said teams have known for the last six months that the sanctioning body was moving in this direction, and that every team owner was in favor. Under this new system, the winner, second-place finisher and a random car will undergo a 90-minute, post-race NASCAR inspection at the track, rather than being taken to the NASCAR R&D Center as in past seasons. When found to be in violation of the rules, the offending team will be sanctioned on the spot, eliminating the need for additional mid-week penalties. 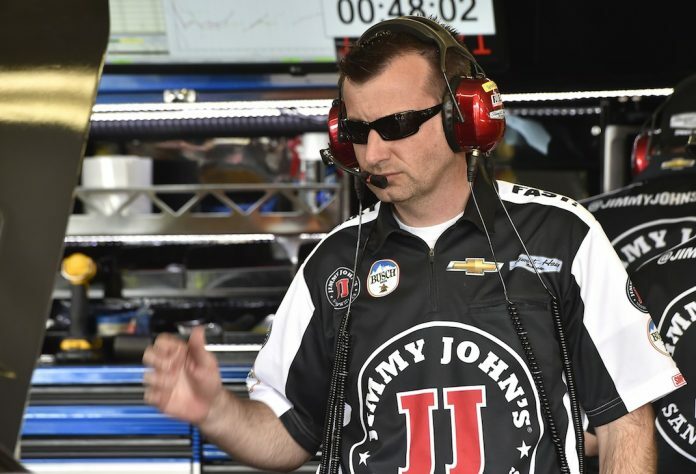 NASCAR also said that crew chief and car chief suspensions will be unlikely, going forward. Very few drivers commented publicly on NASCAR’s announcement prior to their arrival in Daytona Beach, but a handful of crew chiefs spoke in favor of the change. Whether or not NASCAR is required to overturn a victory this season, the mere threat will hopefully be sufficient to change the culture of the sport. No longer will NASCAR be known as the sport where everybody cheats and nobody cares. No longer will we be forced to explain to casual and non-fans how a competitor can drive a blatantly illegal race car to Victory Lane, then keep the win. We will also no longer spend Monday, Tuesday and Wednesday on pins and needles, waiting for the weekly round of penalty announcements that – more often than not – eclipsed the weekend’s racing as the number-one topic of water cooler conversation. Last week’s announcement marks the end of a policy first implemented by NASCAR founder Bill France, Sr. in the early 1950s. At that time, France believed that fans should leave the track knowing who won the race, no matter what might occur in the post-race tech line. In today’s internet-based world, however, information travels at the speed of light, allowing fans to learn of post-race technical violations before making it to their cars in the speedway parking lot. NASCAR’s “no DSQ” policy was an outdated relic from a day gone by, and made NASCAR the only motorsports sanctioning body on the planet unable to inspect its cars in a timely fashion, and unwilling to invoke a competitive death penalty on those who break the rules. “Inspection is going to be open all the time,” promised NASCAR Senior Vice President of Competition Scott Miller last week. “We will be inspecting cars all the time, (not) just during the official inspections. When we find something wrong… if you bring illegal parts and we make you take them off, you’re going to be issued an L1 penalty right there at the race track.